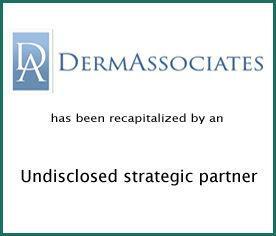 DermAssociates, PC (DermAssociates) has completed a recapitalization with an undisclosed strategic partner. DermAssociates is a comprehensive provider of medical, surgical, and cosmetic dermatologic care to patients at its two locations in Rockville and Silver Spring, Maryland. Provident Healthcare Partners (Provident) served as exclusive financial advisor to DermAssociates. The terms of the transaction were not disclosed. “DermAssociates has held a tremendous reputation among patients and providers in the Mid-Atlantic since its founding in 1974. We believe Drs. Norman & Ben Lockshin have found an exceptional partner that will preserve the practice’s legacy, while providing the resources to expand DermAssociates’ commitment to clinical excellence across the broader region,” noted Ajeya Shekar, Senior Associate at Provident. “DermAssociates has long since established itself as a leader in clinical dermatology in the Washington D.C. metro area. Combining this excellence with the resources of a strategic partner as their regional platform, will allow them to replicate their model across a larger area and bring outstanding care and clinical research to an expanding patient population,” stated Scott Davis, Senior Associate at Provident Healthcare Partners. “Provident worked with us to help navigate the various options presented to us. Their expertise made the process easy at every possible step. All the members of the team were a pleasure to deal with and they worked seamlessly to keep the process on track,” commented Dr. Ben Lockshin, Director of the Clinical Trials Center at DermAssociates. The Company was established by Dr. Norman A. Lockshin in 1974 in Silver Spring, Maryland, and has grown to become one of the largest and most respected dermatology practices in the Washington, D.C. metro area. DermAssociates is comprised exclusively of board certified dermatologists whose diverse medical training affords patients varied medical perspectives for treating complex dermatologic cases. The Company has nine board-certified physicians, including a pediatric dermatologist, and a Mohs surgeon. For more information, visit https://dermassociates.com/.